Music will once again be heard in the streets of Marawi City and in the hearts of Maranaos as the government and members of the private sector work hand-in-hand to rebuild the city, its communities, and homes. 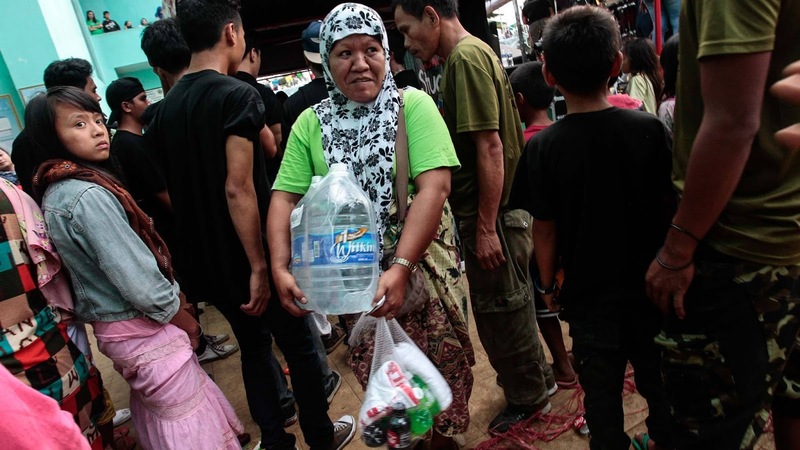 In support of various efforts, Coca-Cola Philippines, through Coke Studio, spearheaded a hydration drive in evacuation camps, including the Maria Cristina Evacuation Camp, Buruun Gym, Sta. Elena Evacuation Camp and Saguiaran Gym, where around 5,000 Maranaos are sheltered. Each family received various Coca-Cola products, including three 6-liter bottles of Wilkins Distilled water, and Coca-Cola shirts, while young local musicians sang OPM hits for the crowd. Customer partner Shakey’s also provided snacks for the evacuees. Rock band Franco brings back music to the hearts of the Maranaos during a solidarity caravan of Coca-Cola Philippines at the Saguiaran Gym, one of the largest evacuation centers around Marawi City. 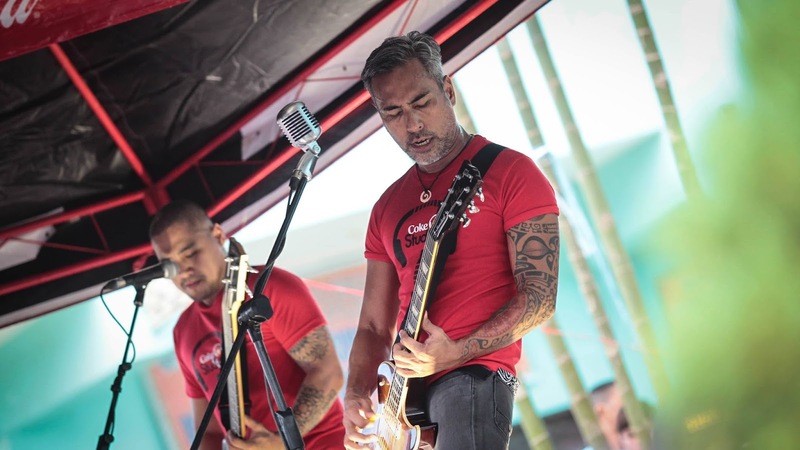 The evacuation center in Saguiaran, which has one of the biggest concentrations of Maranaos, hosted a mini-concert featuring a Coke Studio bands The Ransom Collective and Franco. They sang their own songs and distributed hydration kits to the evacuees. “This is our way of showing support and solidarity with the Filipino people – to be able to contribute in the rebuilding process. Music is one of the things that threads through every person, regardless of age, religion, culture, and socio-economic bracket,” said Stephan Czypionka, Marketing Director of Coca-Cola Philippines. Coke Studio was launched early this year and successfully changed the OPM landscape with its creative collaborations with various artists. It also served as a platform for teens and young adults to come together, drawn by their common love for music. Evacuees received hydration packages, which includes Wilkins Distilled, Coca-Cola, and Sparkle. A mini-concert and sing-along was also done at Saguiaran Gym. The Filipino youth is also coming together to help rebuild Marawi, driven by their passion for music. A benefit concert at the Mall of Asia concert grounds and a recyclables collection drive are just some of the fund-raising initiatives to build schoolhouses through the Little Red Schoolhouse program implemented by the Coca-Cola Foundation Philippines. The construction of a school building is part of the commitment of Coca-Cola Philippines through the Philippine Disaster Resilience Foundation’s (PDRF) United4Marawi campaign. The Company also joined the PDRF in a three-day medical mission for the evacuees in Iligan City. Volunteer health care professionals provided check-ups, surgical procedures, and psychiatric intervention to the evacuees. The Company also provided for the daily hydration needs of the members of the Armed Forces of the Philippines stationed in Mindanao. Coca-Cola Philippines Assets, Promotions, and Activations Manager Macy Magpayo joins the evacuees in a photo op during the solidarity caravan in Marawi City. Coke Studio staged a benefit concert for the rehabilitation of Marawi on Saturday, December 9th, at the MOA Concert Grounds. Coke Studio artists such as Abra, Gab and John of Urbandub, The Ransom Collective, Gracenote, Moonstar88, Autotelic, Ebe Dancel, Franco, Reese Lansangan, BP Valenzuela, Sandwich, Noel Cabangon, and Curtismith, joined various school bands for the benefit concert. A collection drive of PET bottles was done on site to help raise funds.